For two months our gallery volunteers worked extremely hard to curate their exhibition 'The Females of the Factory: Women's Contribution to Pilkington's Tiles and Pottery'. We thought you might like to find out a bit more about our volunteer curators. 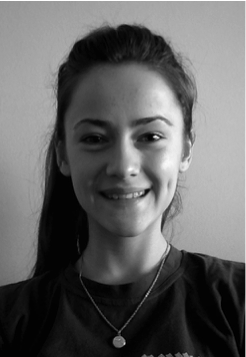 Our second blog entry is by Ella Breese. As a Fine Art student at Lancaster University, I volunteered with Live At LICA, as I felt it was a great opportunity to learn first-hand how a contemporary gallery functions. It has also enabled me to become more involved in the exciting range of events they run. I decided to be one of the volunteers curating alongside the LOOK/15 photography festival, as I wanted to experience the process of how to go about organising an exhibition. This has considerably benefitted me, as it has given me a valuable insight into curating an Arts event, which is something I am interested in pursuing in the future.